Background/Purpose: Despite advances in the RA treatment, substantial humanistic and economic burdens remain. This study of patients with RA, with moderate to severe disease activity and on active treatment, explored unmet treatment needs and the resultant impact on physical functioning and activities of daily living. Methods: Semi-structured interviews were conducted with 46 patients with RA from Germany (n=15), France (n=15), UK (n=11), and Spain (n=5). Eligible patients had been diagnosed for 2-5 years, had a current disease activity score in 28 joints (DAS28) >3.2, and were receiving ongoing treatment. Initial questions were open-ended, followed by more focused questions to probe unmet need. Patients completed the HAQ-Disability Index and EuroQol 5 dimensions questionnaires. Interviews were conducted with 10 rheumatologists across countries, to explore their understanding of unmet need in RA. Results: Patients had a DAS28 mean score of 4.23 (SD=1.0) and either, were eligible for but had not yet received biologic DMARDs (bDMARDs) (23/46; 50.0%), were receiving bDMARDs (12/46; 26.1%), had received >1 anti-TNF treatment previously and were now receiving a treatment with a different mode of action (3/46; 6.5%), or were receiving another treatment regimen (8/46; 17.4%). The majority of patients (44/46; 95.7%) experienced pain due to RA (Table). A high proportion of patients (37/46; 80.4%) specifically identified pain as an unmet need and experienced pain despite advances in treatments. Joint stiffness and swelling, and fatigue were experienced by 87.0% (40/46), 84.8% (39/46), and 91.3% (42/46) patients, respectively. Over half reported each symptom spontaneously, suggesting they are relevant to the symptom experience of RA. All 10 clinicians reported that patients experience each of the above mentioned symptoms. In almost all patients (45/46; 97.8%), RA had impacted their physical functioning, including walking (35/46; 76.1%), sleep (26/46; 56.5%), gripping (22/46; 47.8%), lifting/carrying (28/46; 60.9%), mobility/flexibility (34/46; 73.9%), and speed/agility (15/46; 32.6%). All patients (46/46; 100%) reported an impact on activities of daily living; 40/46 (88.9%), emotional well-being; 37/46 (80.4%), family and social relationships; and 26/46 (57.0%) experienced a financial impact. Conclusion: Although pain, joint stiffness and swelling, and fatigue are well-known symptoms associated with RA, they persist in most patients who are eligible for, or who are receiving, bDMARDs. Pain severity showed relationships to the wider scope of impact on patients’ lives. Despite the high standards of care available for patients in the countries in which this study was conducted, the level of unmet need described from both patients and clinicians is compelling. Disclosure: P. C. Taylor, GSK, UCB, JANSSEN, 2,JANSSEN, UCB, PFIZER, ABBVIE, LILLY, BMS, ROCHE, GSK, NOVARTIS, SANDOZ, BIOGEN, BAXALTA, SANOFI., 5; R. Alten, None; J. J. Gomez-Reino, None; R. Caporali, Lilly, Abbvie, MSD, Pfizer, UCB, Celgene, Mundiharma, 5; P. Bertin, None; L. Grant, Adelphi Values, 3; E. Brohan, Adelphi Values, 3; J. Wells, Adelphi Values, 3; R. Vasilescu, Pfizer Inc, 1,Pfizer Inc, 3; M. Tarallo, Pfizer Inc, 1,Pfizer Inc, 3. 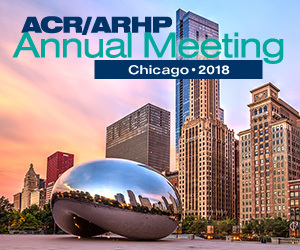 Taylor PC, Alten R, Gomez-Reino JJ, Caporali R, Bertin P, Grant L, Brohan E, Wells J, Vasilescu R, Tarallo M. “I Am Always in Pain Somewhere”: Continuing Unmet Need in Rheumatoid Arthritis [abstract]. Arthritis Rheumatol. 2016; 68 (suppl 10). https://acrabstracts.org/abstract/i-am-always-in-pain-somewhere-continuing-unmet-need-in-rheumatoid-arthritis/. Accessed April 18, 2019.